It's always a good day when a Star Wars original trilogy figure is added to the collection! This new addition from Hot Toys may seem like just another trooper, but the beauty of this Royal Guard is in its simplicity! It's just a simple figure, done very well is all the areas that it needs. The packaging is the usual style with the front cover art and the inside cover insert. 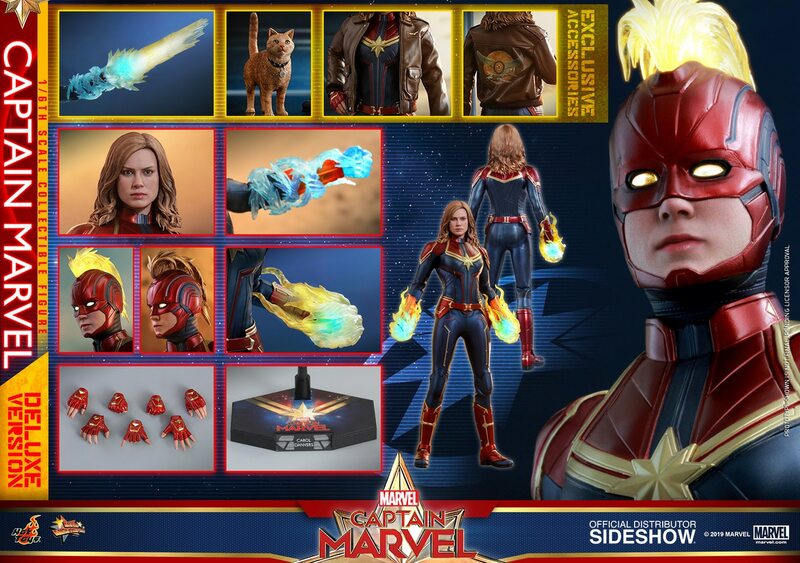 There aren't to many accessories, but I'm not sure what else Hot Toys could have included. The staff and array of hands work well. The base has a lighter grey floor covering instead of the nice darker black floor for the Tarkin figure. I would've much preferred that over this one. The outfit has a number of layers, including the pants, boots, long skirt/shirt and belt, all covered by the nice robe and topped off with the high gloss helmet. The darker maroon of the undersuit is fantastic, with a beautifully soft material that is nicely tailored. The pants are made of the same material, and it all allows for great articulation. The boots are also a nice material. It doesn't really look like faux-leather, but is again soft and allows for great ankle articulation. It does suffer from the same sort of folding around the ankle joint, but doesn't look too bad if futzed. The part that needs the most futzing is of course the red robe. It has all the pleats and folds tailored in, but comes quite wrinkled straight out of the box. As with many collectors, there was an area near the left knee that seems to have been pressed against the clamshell in the packagem resulting in a spot on the robe that appears like a lighter coloured stain. It is not really a stain, but just the pile of the material being crushed slightly against the packaging. The easiest fix that remedied most of the issue was simply putting a bit of water onto the spot and gently rubbing. After that dried I found most of the spot cleared. The best remedy, that not only removed the spot but also the wrinkles, was doing a light iron on the cloak. I simply used some steam from the iron, and used a white shirt to place between the iron and the cloak. I then gave the inner side of the cloak an iron. This removed the wrinkles, but you do need to be careful about where the designed pleats are located. You want to keep those pleats and also the folds near the chest area directly under the helmet. Once all setup, either in the classic staff-holding pose or a more dynamic pose, this figure really pops on display. The bright red outfit, along with the perfectly glossy helmet make for a figure that draws the eye in the collection. I can certainly see why many collectors will get two to stand either side of the Emperor. I really hope that Hot Toys continues to make classic trilogy figures. I still have the ROTJ Luke and the Emperor to come this year. Hopefully 2019 is a big year for more Star Wars announcements!